Some diseases due to immunological abnormalities are common in clinical practice, for example rheumatoid arthritis, thyroid disease and allergy. Immunodeficiency is relatively rare, but the occurrence of certain infections in the context of specific immune defects can illuminate the physiological role of those parts of immune defence in control of infection. Infection is the result of microbial virulence on the one hand and host defence on the other. 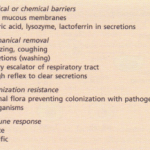 Pathogenic organisms have mechanisms of evading normal defence mechanisms. 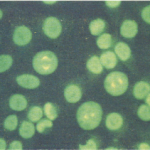 Organisms of low virulence can only cause disease if the host defence mechanisms that normally control them are defective. 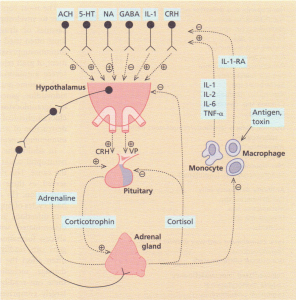 Organisms taking advantage of the opportunity of impaired host defence mechanisms are called opportunists. Different host defence defects cause increased susceptibility to different groups of organisms. Therefore, recognizing a pattern of infections can provide the best clinical clue to the type of underlying defence defect. Patterns of opportunist infection Examples of opportunist organisms in the setting of nonimmunological defence defects include: staphylococci and Pseudomonas in burns patients; Haemophilus influenzae and pneumococci in smokers; Pseudomonas in cystic fibrosis patients; Gram-negative infections where there is urinary obstruction; staphylococcal and candidal infections with indwelling venous catheters and other foreign bodies; Candida and pathogenic Escherichia coli following elimination of gut flora after antibiotic therapy. 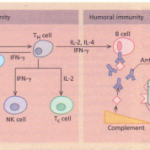 COMBINED T AND B CELL DEFECTS, which cause some of the most severe immunodeficiencies . the more important examples. 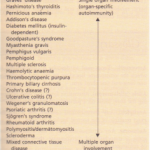 IATROGENIC DEFECTS resulting from deliberate immunosuppression or unwanted complications of certain therapies; malnutrition; splenectomy IMMUNOSUPPRESSION resulting from specific diseases that affect immune competence, such as tumours of the immune system and autoimmune disorders; and transient or progressive immunosuppression caused by certain infections.